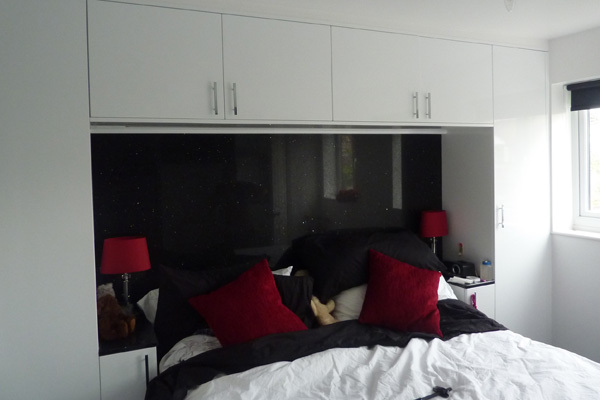 High gloss white doors give a contemporary and light feel to the room. 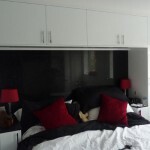 A granite back panel headboard with linear LED lighting above. 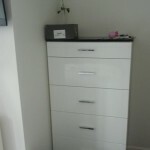 Maximising storage with cupboards over the bed and a separate matching chest of drawers. 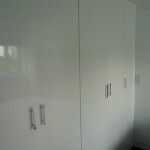 Bathroom, ensuite shower room and cloakroom.